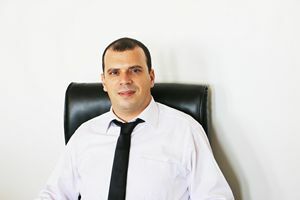 Mohamed Hamdoun is an assistant professor in the College of Commerce and Business Administration at Dhofar University. He obtained his doctorate in management sciences from the University of Manouba. In this regard, he received the thesis prize «Excellence» of the University of Manouba. He teaches several courses such as strategic management, leadership for results, business ethics, and business environment at both undergraduate and graduate levels. He also teaches management and organizational behavior in the master of management program. He is the chair of community engagement committee and member of the examinations committee. Moreover, he has gained a valuable experience in supervising bachelor projects and master theses in management. Prior to joining Dhofar University, he was an assistant professor at University of Tunis. Mohamed Hamdoun’s research interests focus on environmental management, corporate social responsibility and global value chains. His articles have been published in leading academic journals indexed in Web of Science with impact factor such as “Business Strategy and the Environment” (JCR Impact Factor 2017: 5.355) and “Journal of Cleaner Production” (JCR Impact Factor 2017: 5.651). He received the prize of the best empirical article of the 25th International Conference of Strategic Management. His future research plans are mainly aimed to better explore the benefits of environmental management and corporate social responsibility. Mohamed Hamdoun’s research interests the benefits of environmental management and corporate social responsibility. His research is also focused on the positive consequences of the integration of developing countries firms in global value chains. In that regard, he has published articles in leading academic journals indexed in Web of Science with impact factor and has presented numerous research papers at various international conferences. Winner of the best empirical article of the 25th International Conference of Strategic Management. Achabou, M.A., Dekhili, S., Hamdoun, M., 2017. “Environmental upgrading of developing country firms in the global value chains”, Business Strategy and the Environment, Vol 6, No°2, pp. 224-238. (JCR Impact Factor 2016: 3.076). Hamdoun, M., Zouaoui, M., Achabou, M.A., Dekhili, S., 2016. “The environmental management and the competitive advantage of the Tunisian companies : What role does the innovation capacity play ?”, International Management, Vol 20, No. 3, pp. 61-78. Project and Operations Management, Business Communications, Strategic Management, Leadership for Results, Business Ethics, Management and Organizational Behavior, Brand Management, Business Environment, etc. Each semester, Mohamed Hamdoun supervises students on their bachelor projects and master theses primarily on issues in the field of management.